Love That Max is a blog I’ve followed for years, and I am not alone. 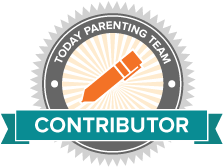 The blog is currently the #1 disability blog by traffic ranking and a Babble Top 100 Mom Blog. It has been featured on CNN.com, Today.com, Yahoo, The New York Times’ blog The Motherlode, AOL, MSN.com, MTV.com and The Daily Mail, as well as in Redbook, Real Simple, Parents, Good Housekeeping, Woman’s Day, Family Circle and All You magazines. Ellen Seidman is an incredible writer and an inspirational mother to her three children. I’m honored and excited that she shared my piece, When my son communicates, will he share our secrets?. Wow, thank you. I’m going to show this to my mom! I am so thrilled to share your post on the blog, you’re a gifted writer.